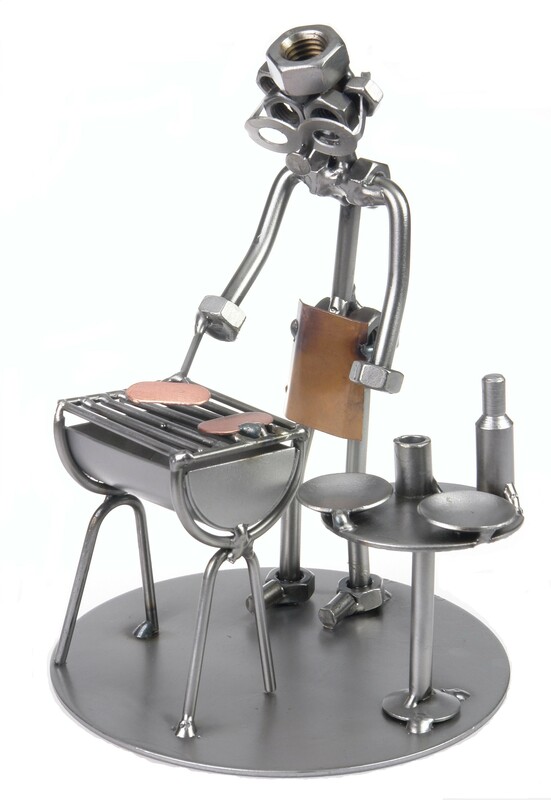 A figurine barbecuing. A funny thank you gift for inviting you to barbecue. It can also be a thank you present who prepared the food during the barbecue. A great present and a room decoration.